Researchers have developed a battery that has a high voltage and will last a longer time than current tech. 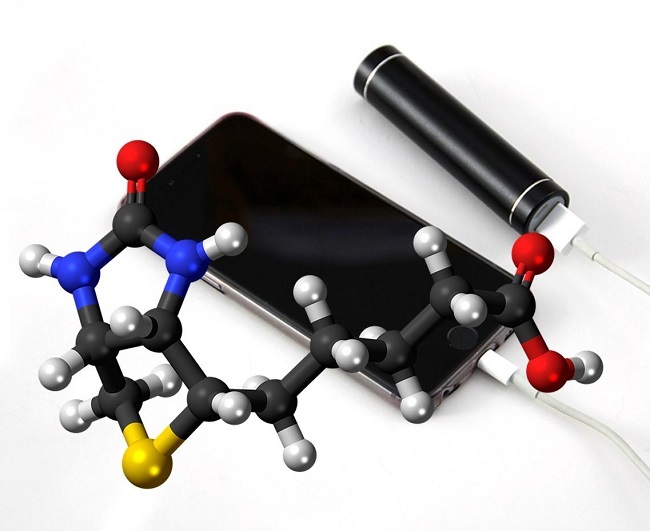 Scientists have come up with a vitamin powered phone battery technology that will allow devices to last longer while giving them more voltage. Moreover, this could be an important step toward reducing the price tag of battery powered devices. This new battery technology is not entirely unlike lithium-ion but are different in an important way. The battery is different because it uses flavin – a component of vitamin B2 – as its cathode. The cathode is the part of the battery that stores the electricity. Then, that energy can be used once it is connected to a device. This vitamin powered phone battery provides a more natural solution to the question of how to keep devices charged. The vitamin powered phone battery provides a very affordable way of giving mobile devices the charge they need. This is not the first time a battery has been made with bio-derived components. However, this is the first rechargeable battery using bio-derived polymers. Polymers are long chain molecules. They are used for one of this new battery technology’s electrodes. This technology’s key is the possibility it opens for keeping the energy stored within a vitamin-created plastic. The plastic is far less expensive than traditionally-used metals such as cobalt. The vitamin-created plastic is also more environmentally friendly and easier to process. 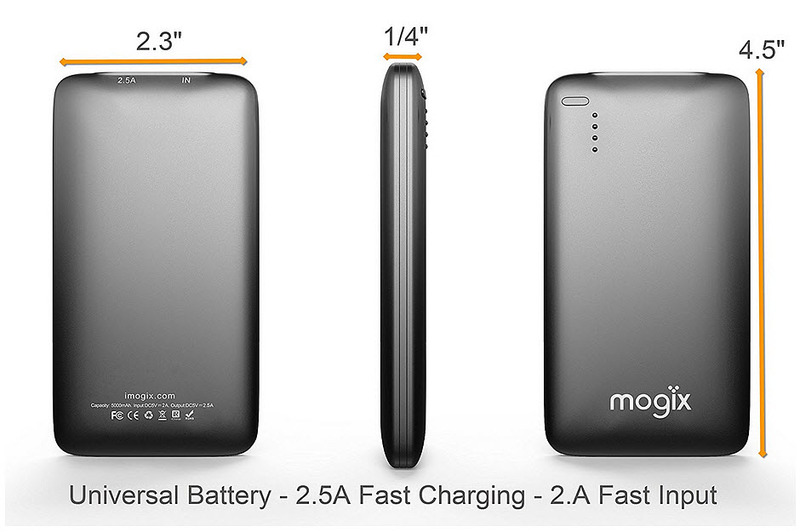 It may play a central role in reducing our dependence on portable battery packs due to inadequate charge. The scientists developed the material from vitamin B2. They sourced the vitamin from genetically-modified fungi. They used a semi-synthetic process for polymer preparation. It linked a long-chain molecule with two flavin units. The result is a vitamin-powered phone battery that is environmentally friendly with a high voltage and with a high capacity. These and the rest of the findings from the researchers were published in the Advanced Functional Materials journal. A new tech startup called Changing Environments has invented public seating that uses the sun to charge mobiles. 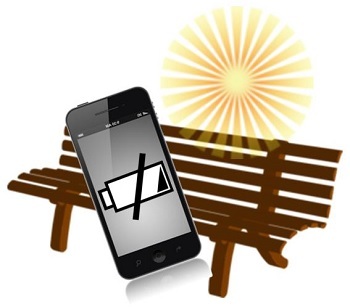 Changing Environments, a startup based in Massachusetts, has now announced its invention of a public bench that acts as a solar powered smartphone battery charger that could be used by Boston residents and visitors to recharge their mobile devices. The company is also working on collating data on the setting surrounding that urban area. The smartphone battery charger bench is called the “Soofa”. It has a built in solar panel that can build up the energy needed for members of the public to be able to charge up their mobile devices such as cell phones and tablets using USB ports. Previous efforts to provide the public with USB ports have come to a halt after there were some serious mobile security concerns voiced regarding the risk of hackers that could use them to spread viruses. The CEO of the company explained that these solar smartphone battery charger benches are equipped with powerful mobile security. Chief exec of Changing Environments, Sandra Richter, assures users that the Soofa mobile device charger is equipped with stringent security measures in order to help to prevent attempts to use the USB ports for this type of malicious activities. The recharging ports are housed within concrete boxes. These boxes are fitted with security screws that, according to Richter, can be opened only by staff from the company. Should brute force be used to try to force the boxes open, it would automatically disable the electronics within the box. Beyond providing the public with a free mobile device recharging station, the Soofa also has a computer built into it that gathers data with regards to the urban environment in which it has been placed. This information is wirelessly sent over the internet. Among the types of data that are gathered by the benches is the amount of sunshine that is received by the bench. This collected information will soon be expanded to include other environmental details, such as noise levels, air quality, and the flow of pedestrians around the smartphone battery charger benches.